Are you ready to automate your marketing? Do you feel like you're spinning your wheels and duplicating processes? Are your prospects and clients not hearing from you as much as they should? 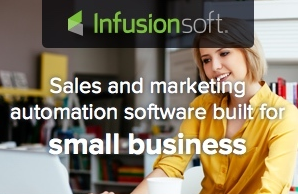 If you're an entrepreneur who is ready to automate and grow your business, I can help you decide if Infusionsoft is right for you! Click here to schedule a no-obligation call to see if Infusionsoft is right for you! We will NEVER share your email address with anyone. We respect your privacy and dislike spam too!